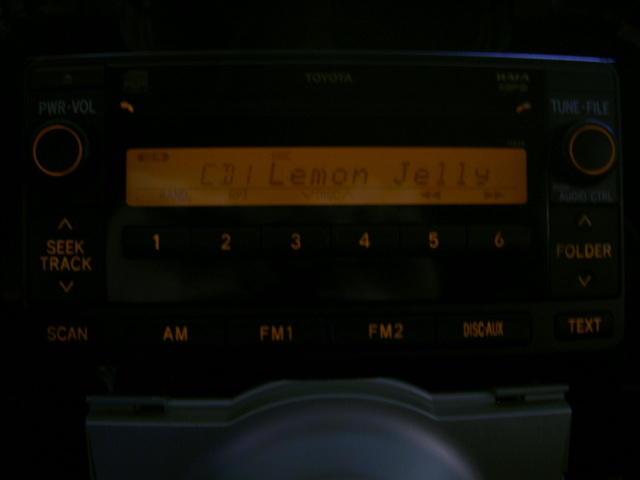 Note: Aside from the A/C controls and automatic shifter lights, all other lights require soldering equipment and skills. If you do not own either or know someone who does, I suggest you pass on this DIY. 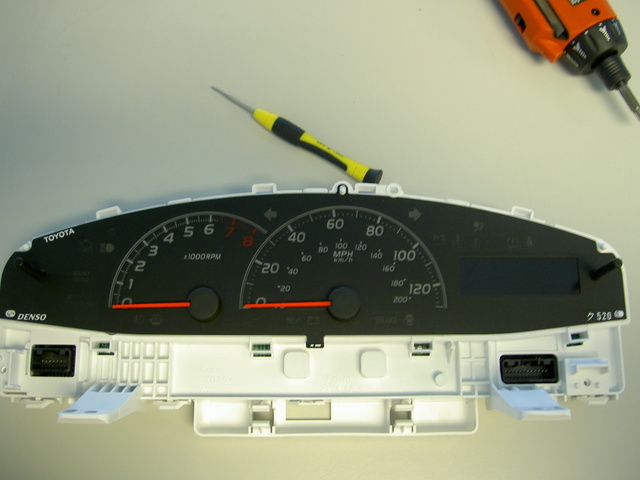 This DIY will cover changing the color of the lights in the stock radio, gauge cluster, center console switches, A/C controls, and door switches. I replaced the amber (orange) lights with white. Depending on the color you choose the part numbers will most certainly differ. I suggest you get more LEDs than you need for the job as some may get damaged during the install. I personally smoked at least 7 myself. 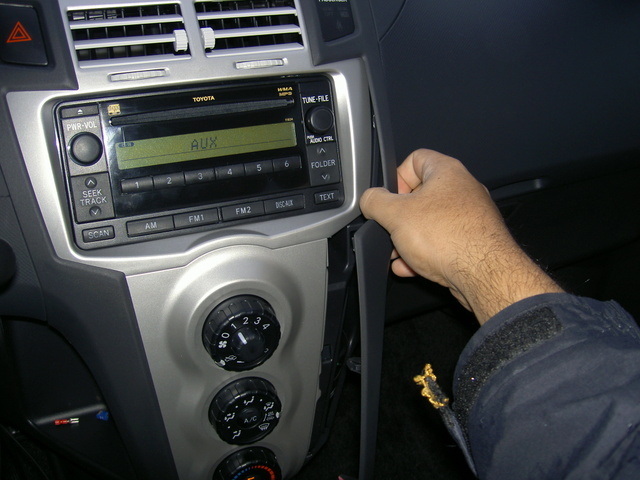 Remove the trim pieces on both sides of the radio and A/C controls by pulling up from the bottom lip. Continue to pull up until the trim comes completely loose. Do the same for the other side. 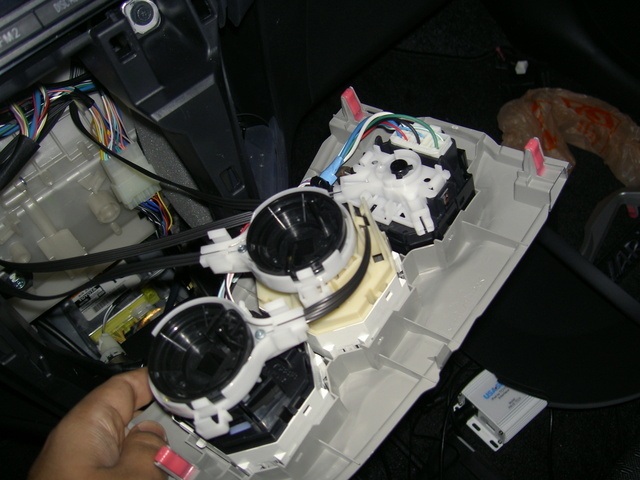 Remember to disconnect the wiring harness(s) to free the trim pieces from the dash. From the bottom of the gauge trim pull forward and up. 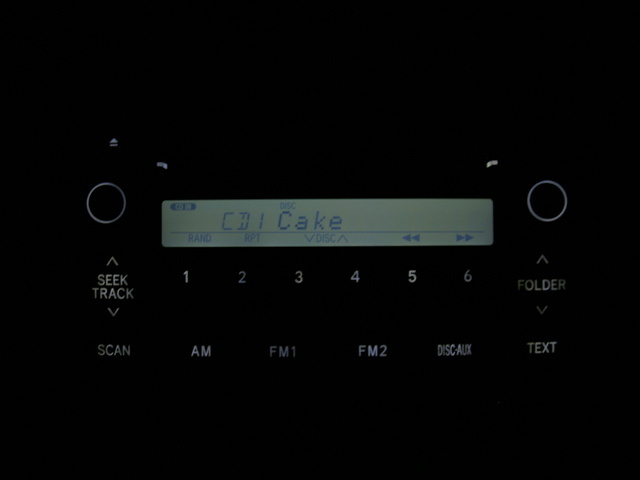 Pull the radio trim forward. The A/C duct should come out with the trim piece. 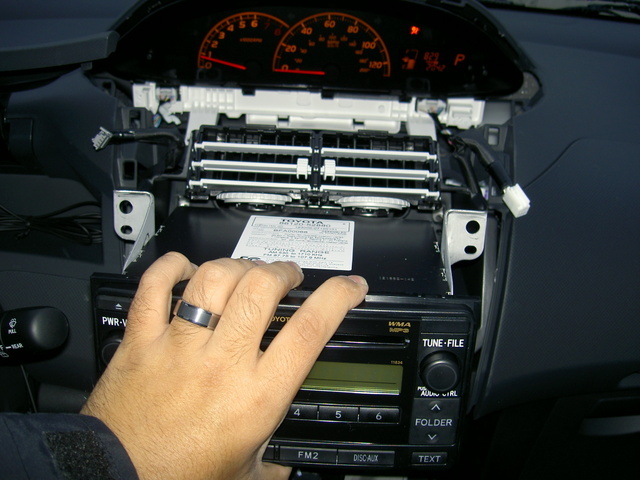 Remove the 4 screws the hold in the radio. 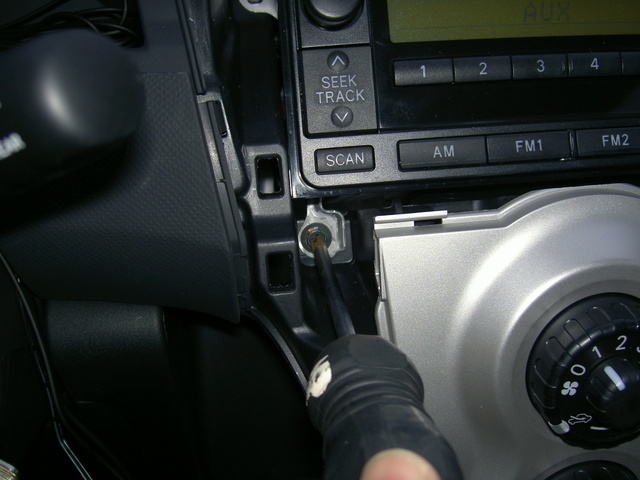 Disconnect the wiring harnesses from the back of the radio to free it from the dash. 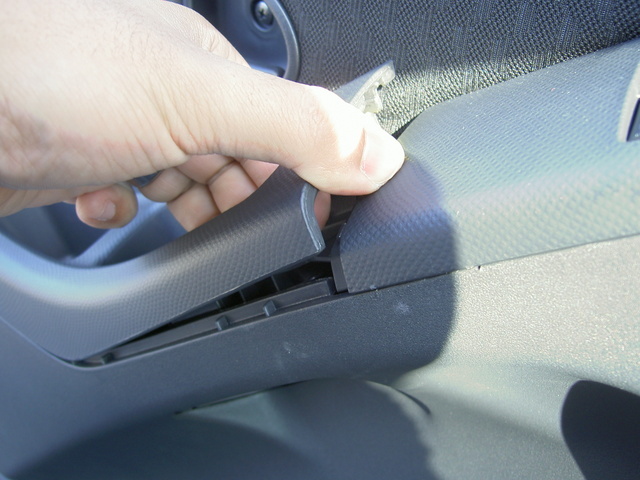 Find the tabs around the rim of the radio face and use a small flathead or butter knife to gently release them. This may take several tries as some of the tabs my snap back on after you’ve released them. Just be patient or you will break the tabs. 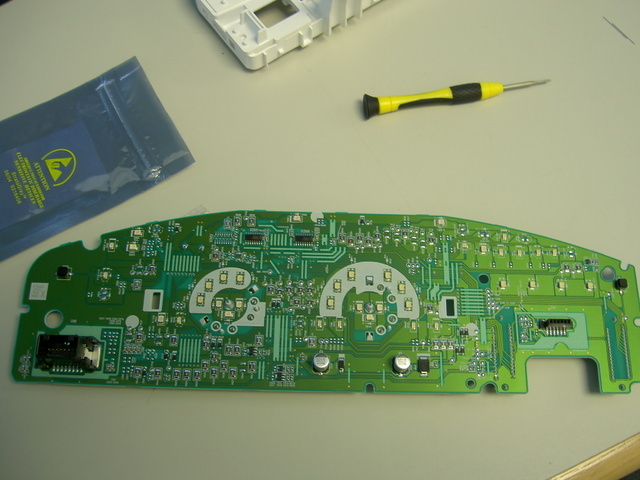 Once the front face is removed, lay it face down on a soft surface and remove the screws holding the PCB to the face. 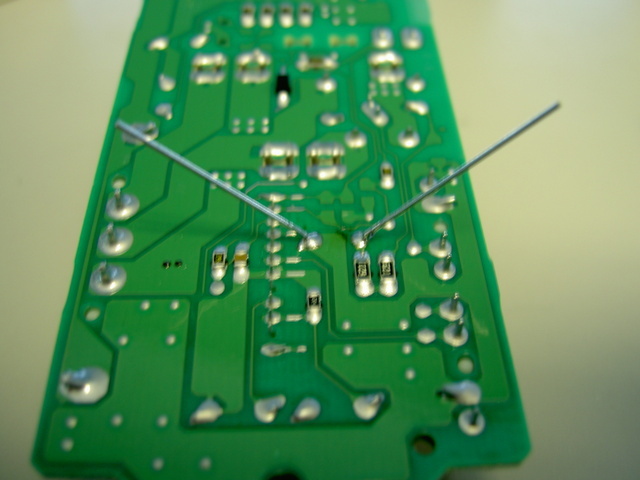 Flip the PCB over to expose the LEDs. Pull the knobs off to expose the 8 LEDs. Again, this is not a “How-To Solder” instructional so I did not document the long and laborious process of swapping all 50 LEDs. Just take your time and note the LED polarity. You’ll be fine. 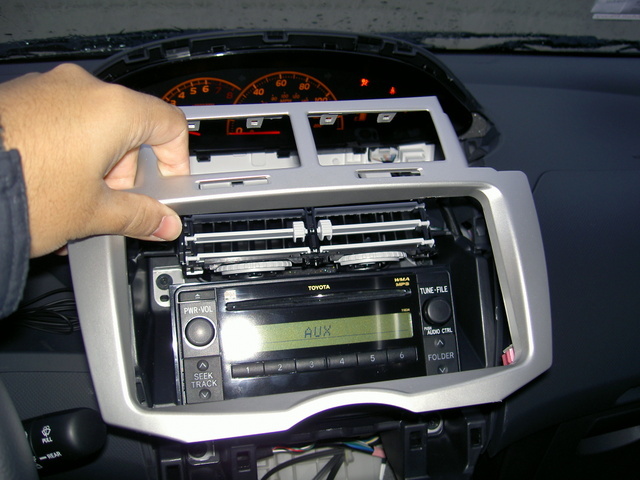 To test the LEDs without reassembling everything, reconnect the radio to the wiring harness, plug the PCB into the deck (you will have to hold it in place) and turn the car on. Turn the parking lights on to test all of the LEDs. 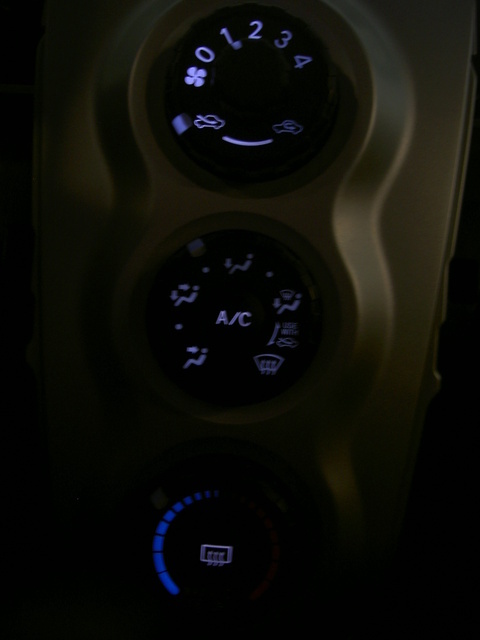 Now pull the A/C controls out from the top of the assembly. 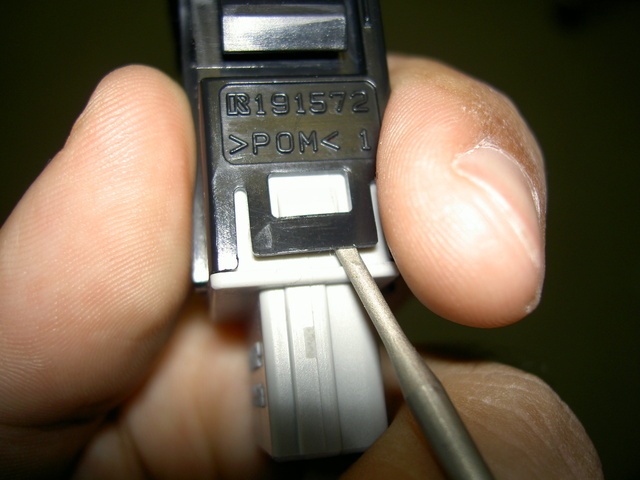 Remove the black cable assemblies (do one at a time to make sure you do not get them mixed up) to expose the bulbs. 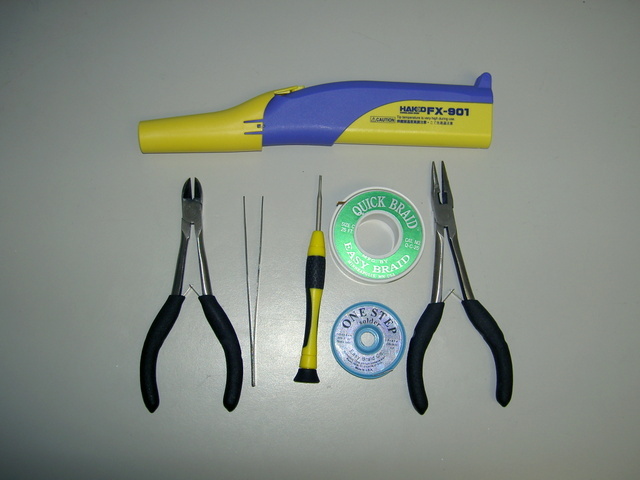 Use a small crosshead screwdriver and turn the bulb counter clockwise. 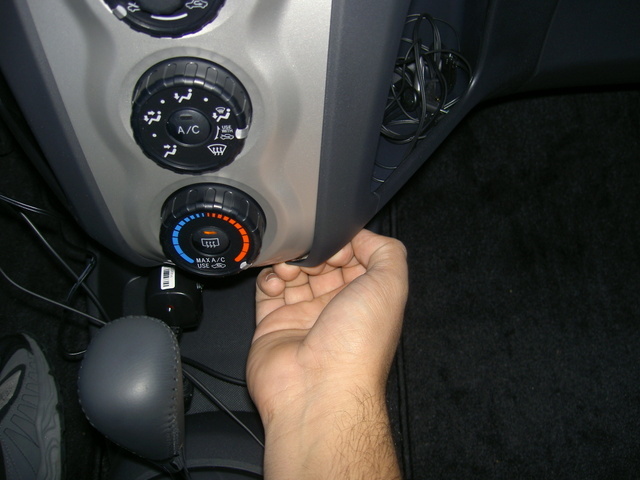 Hold the A/C control assembly upside down until the bulb falls out. Insert the new LED bulb and turn clockwise to lock it in place. At this point you will need to quickly flash the parking lights one then off. Since the new LED bulb is polarized, if it’s in backwards, it will blow the fuse. If the light turns on, good job. If not, remove the blub, rotate it counter clockwise 180 degrees and reinstall it. It should work after that. 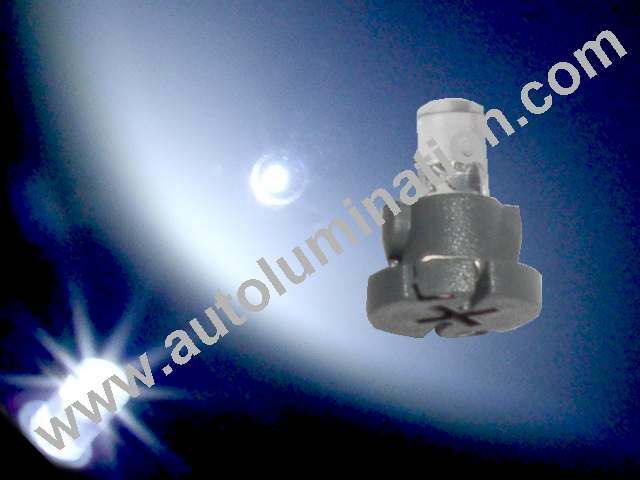 If none of the interior light come on after the test you have blown your fuse. Replace it and try again. 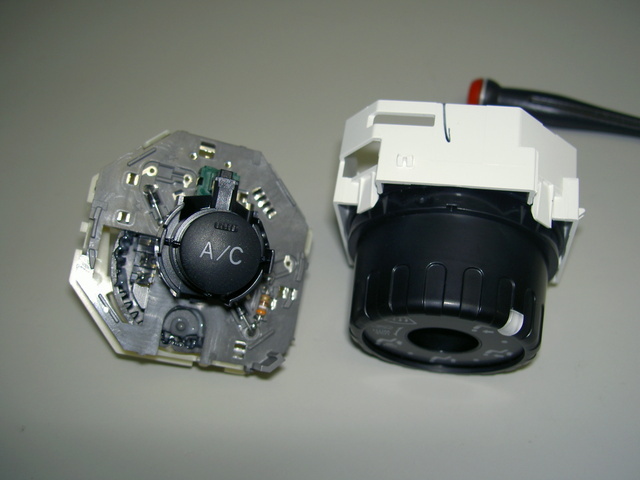 Remove the center knob assembly from the A/C control bezel. Using a flathead, gently pry the tabs on all 4 sides of the switch to remove the knob from the assembly. 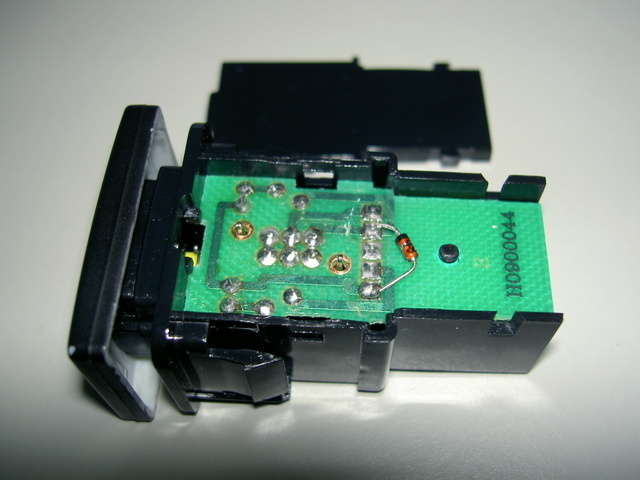 Remove the bottom of the switch assembly in the same way to expose the solder points for the LED. After you replace the LED (Taking note of the polarity of course), reassemble the switch by aligning the triangular notches in the knob gears. 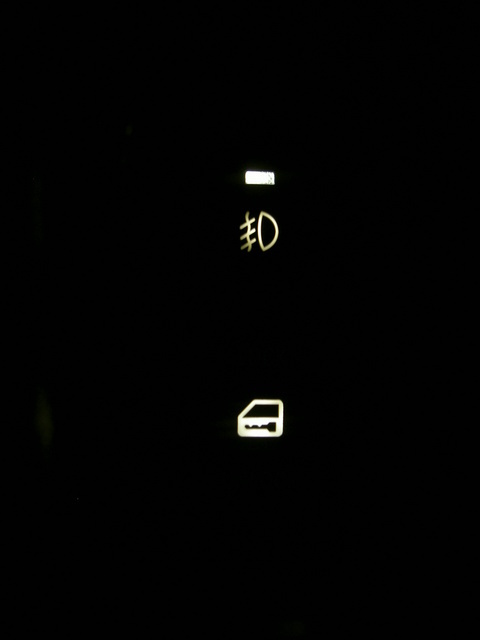 If these are not aligned properly, the switch WILL BREAK! 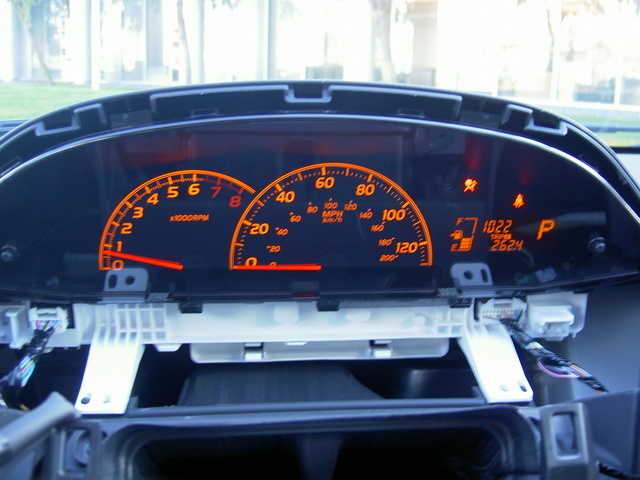 Remove the 2 screws and wiring harnesses holding the gauge cluster in. 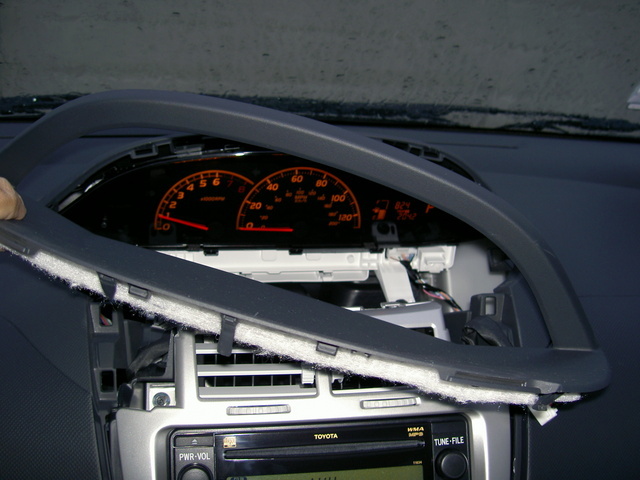 Pull the cluster forward to remove it from the dash. 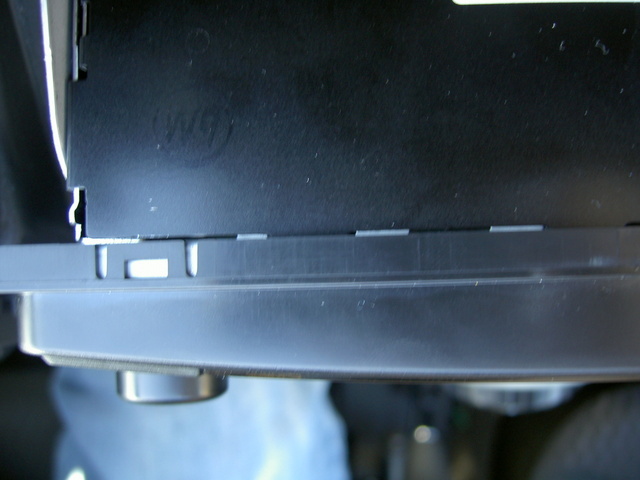 Remove the one screw and black perimeter tabs from around the front gauge cover. Once you have access to the gauge needles, pull up until they come off. It will fell like they are going to break, but if you pull straight up, you be fine. 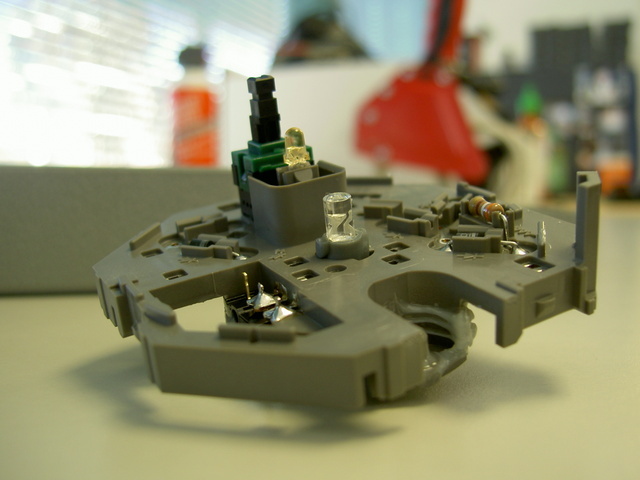 Remove the 2 screws and white perimeter tabs from around the back of the cluster. 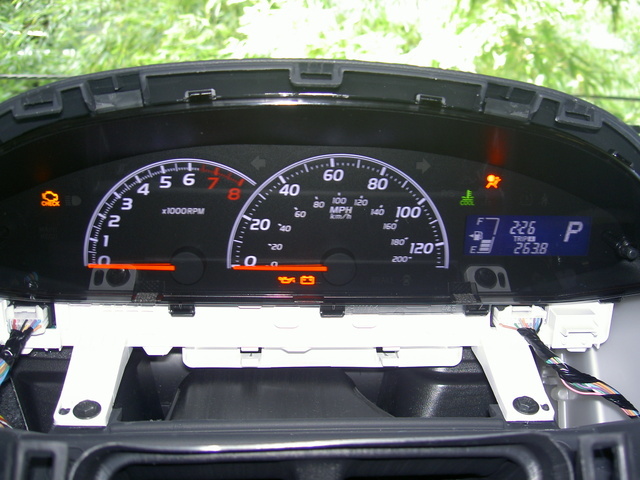 With the back of the cluster exposed, pull up on the left hand module and set it aside. 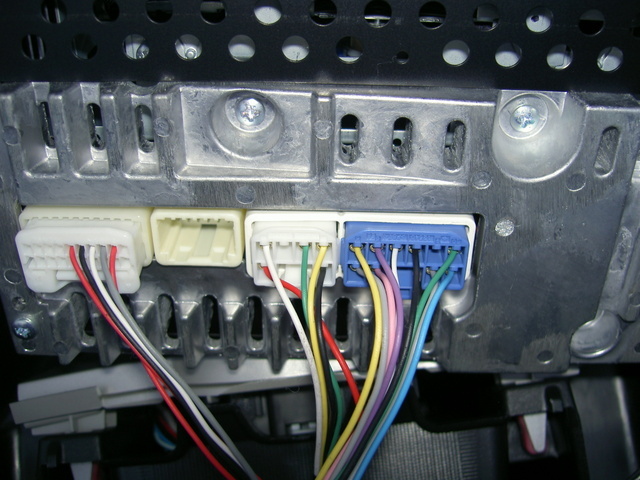 Push the 2 white tabs in the center to the side to release the cluster PCB from the rest of the housing. Flip the PCB over to expose the LEDs. 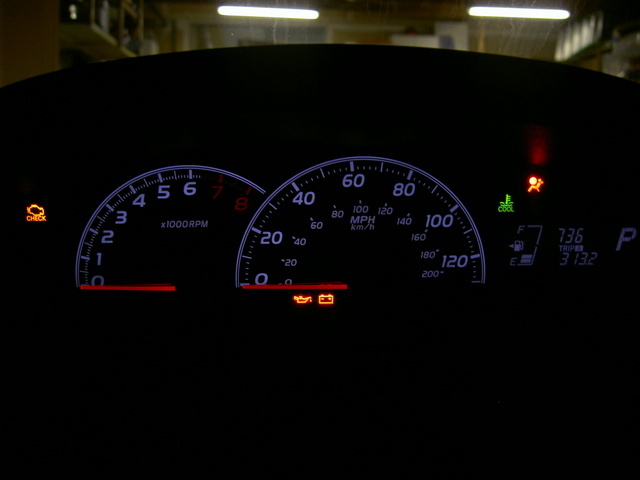 You notice there are 2 different sized LEDs in the cluster. 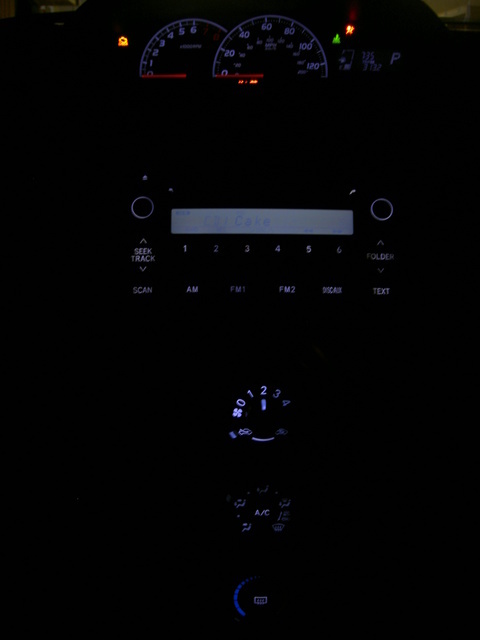 If you would like to change other LEDs aside from the LCD, speedo, and tach you will need more of the smaller LEDs used for the radio install. 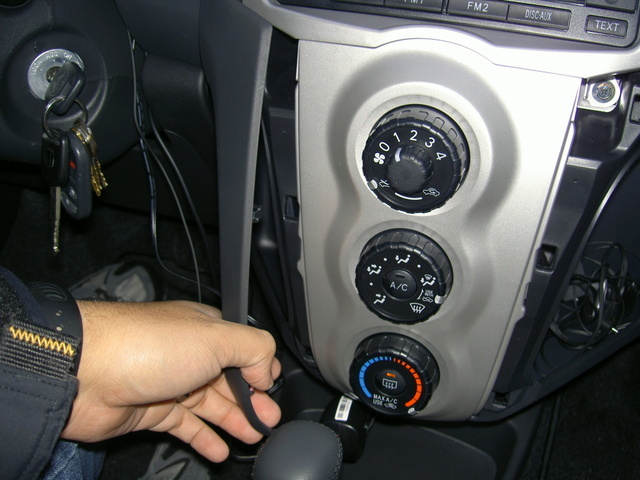 Remove the door lock switch from the center console. 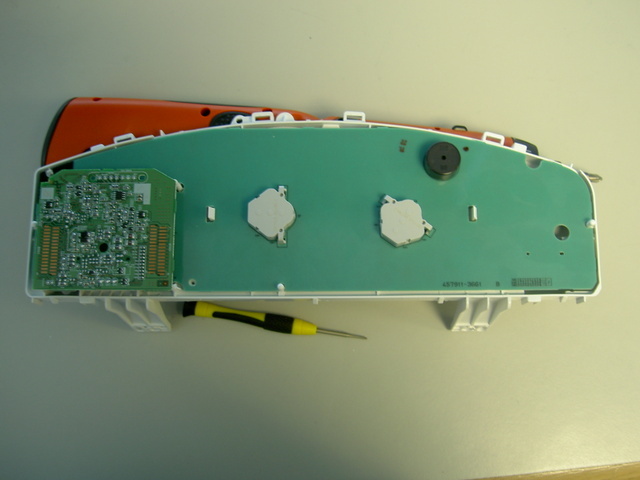 Gently lift the tabs on both sides of the switch to remove the ‘guts’. Cut out the old led. Use it as a template and bend to legs of the new LED to match. 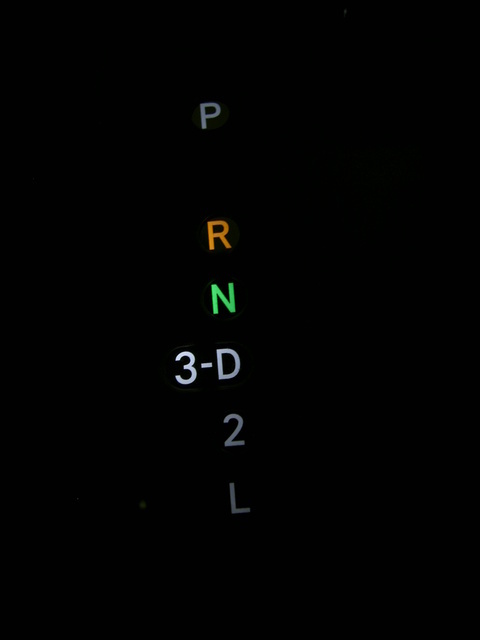 Take note of the polarity and insert the new LED. 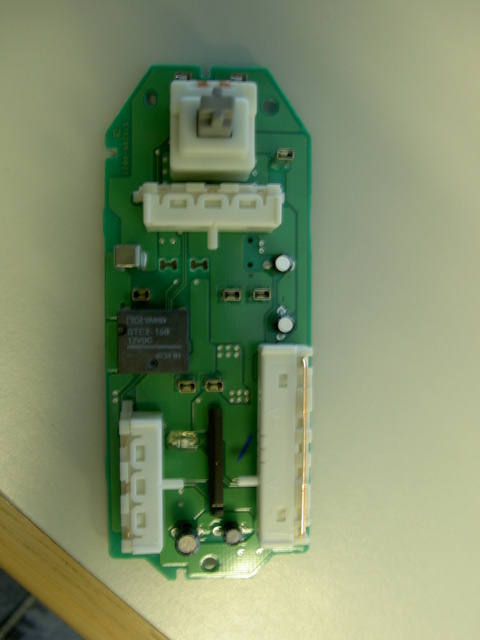 Solder it in place and reassemble the switch. 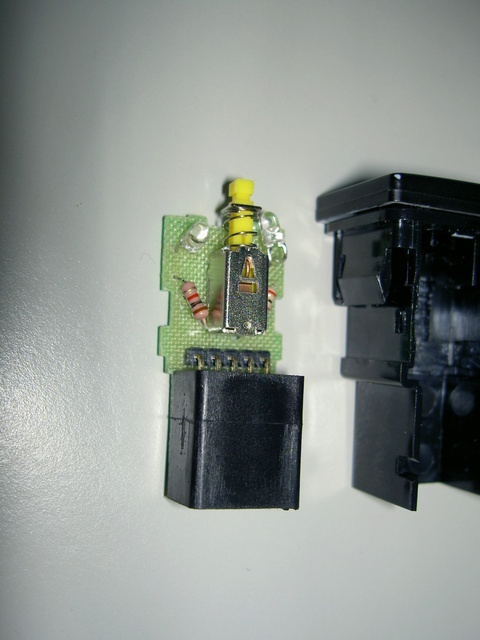 Use a small flathead to pop the cover off of the side of the switch. 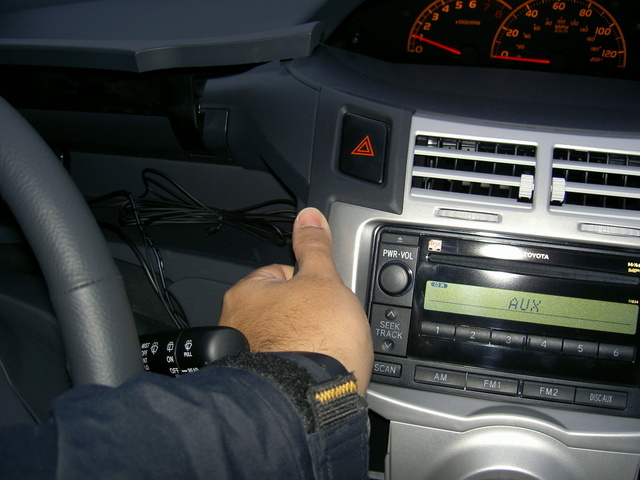 Make sure the switch is on the off position (raised). 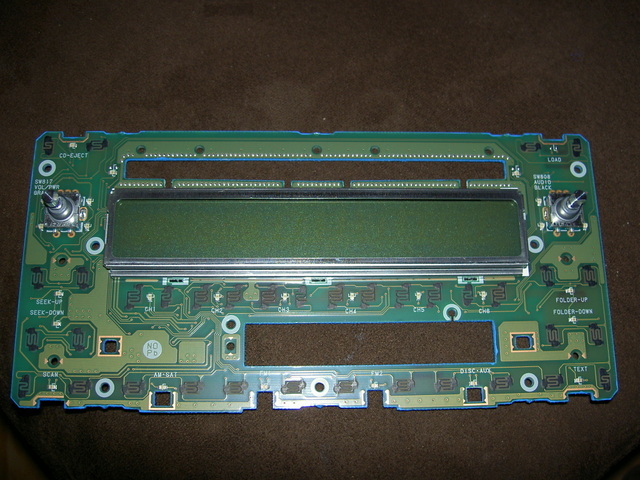 Lift the PCB out of the housing from the harness end. 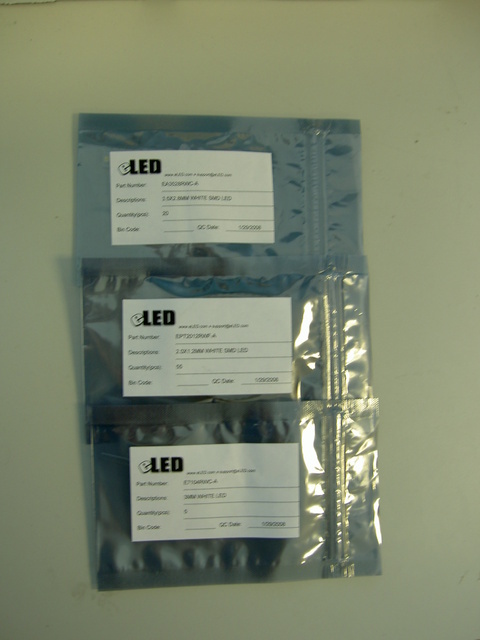 Remove the LEDs noting their polarity. Use the picture below to properly angle the new LEDs. This took a lot of trial and error to get right. 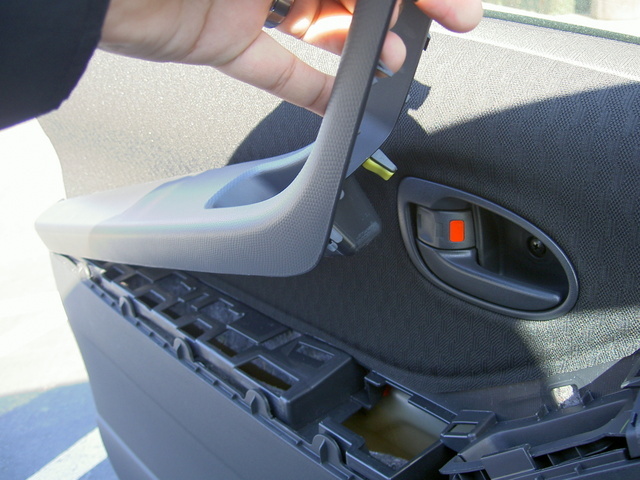 On the driver side door, lift the arm rest from the handle area. Pull up until the arm rest is removed. 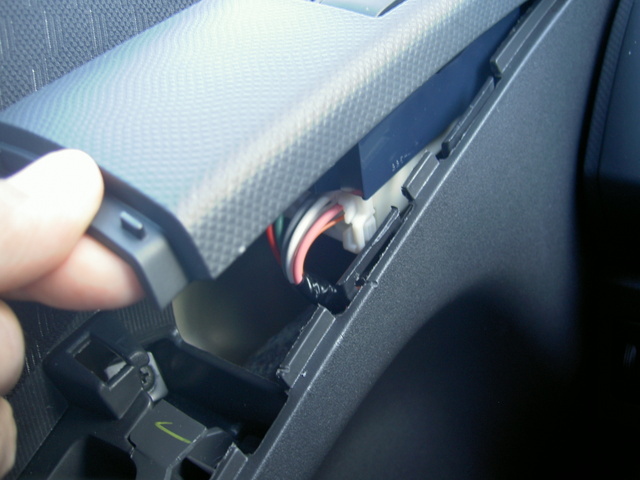 Pull up from the bottom of the switch assembly and remove the harness to free it from the door. Disassemble the switch assembly my removing the retaining screws and lifting the PCB off of the harness clip fixture. 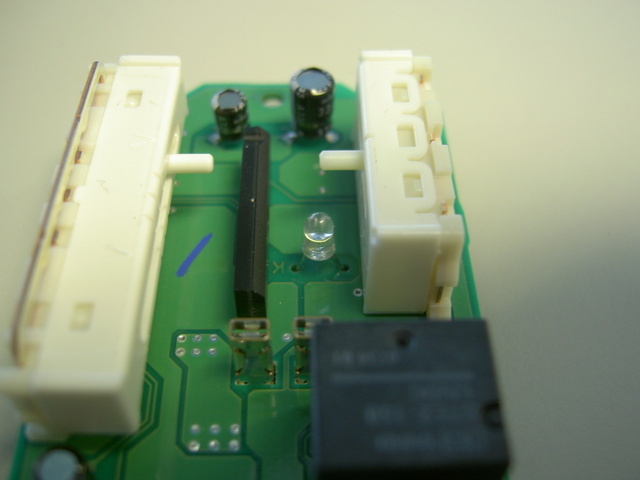 Note the polarity of the LED and remove it from the PCB. Insert the new LED and solder it in. 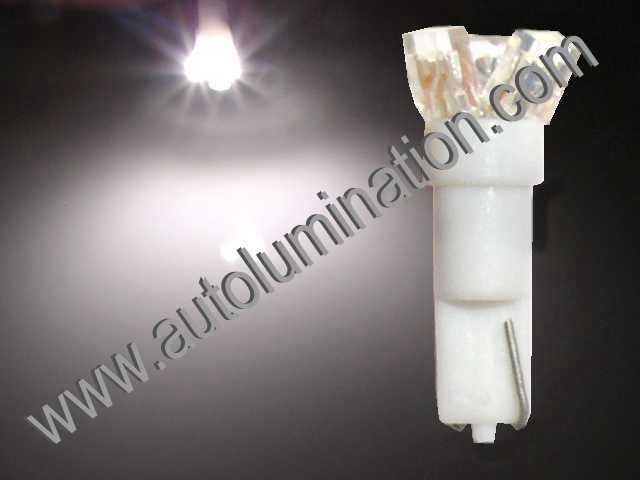 Just reassemble your car and enjoy your new lights.